When an invading germ or bacteria enters the body, its defenses create antibodies to fight it. Now that invader is recognized if it ever appears again. Homeopathy uses a highly diluted form of the substance that is causing the symptoms in the body to trigger the natural defenses within to begin healing. An example would be to expose allergy sufferers to a small dose of pollen, ragweed or dust mites to help their bodies become desensitized to it. The repeated dilutions are to render the substance non-toxic. This works in a very similar way to allergy shots with the main difference being the substance that is used. Herbs for medicinal purposes are sometimes looked down on by members of the medical community. However, there is more of a relationship between herbs and modern medicine than people know. People all over the world have used herbs as well as berries, seeds, roots, leaves, bark and flowers to treat everything from a cold to indigestion to abdominal pain. Scientists aren’t sure exactly how herbs work. There are a variety of compounds found in plants and it can be hard to separate the active ingredients. However, research is showing that there is value to using them for preventative maintenance as well as treating some conditions. Once scientists learned to extract certain compounds from plants and create similar ones, plant use dropped off. The herb remedies fell into hearsay but have been making resurgence within the medical community. People want to return to their roots – literally. Peppermint – It is great for candy but has several medicinal purposes as well. 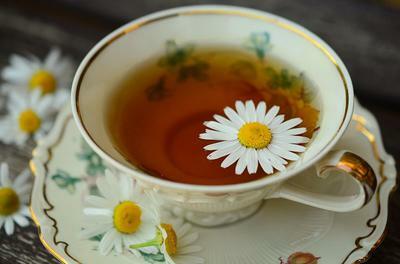 Leaves can be steeped in tea as a muscle relaxant, antispasmodic and antacid. Use leaves on the chest as an expectorant. Lavender – The purple flowers smell great. Used in essential oils to relieve headaches and stress. Lavender is one of the few essential oils that can be used topically without burning or damaging the skin. Use as an antibiotic and antifungal.